Once you've signed up to Express Checkout, you just need to add it to your website to allow your customers to check out in three easy clicks so more of them complete the purchase. There are two ways to add Express Checkout so have a look at the options below, decide which one is best for you, then just follow the instructions on how to get started. A quick and cost-effective way to add Express Checkout to your website is through one of our recommended partners. 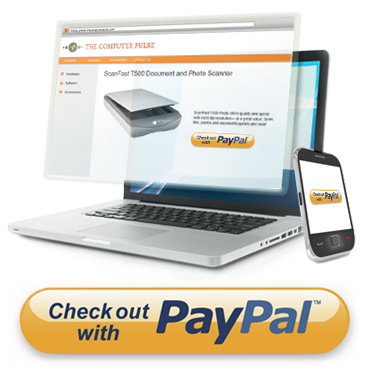 We work with a range of payment gateway and shopping cart providers who are pre-integrated with PayPal. Choose a recommended payment gateway or shopping cart provider, or check our list of recommended partners to see if your current provider already has PayPal integrated. Follow the instructions on how to enable PayPal through your chosen partner. If you have technical expertise and experience in API programming, then you can choose to integrate Express Checkout yourself. We have easy-to-follow integration guides, extensive web resources for developers and our Sales integration team are available to help on 0844 338 0470. PayPal pricing is very competitive and you don't have to pay any set-up charges, monthly fees or cancellation charges. The pricing table above applies to domestic payments in UK Sterling. Additional charges apply for currency conversions and cross border payments.